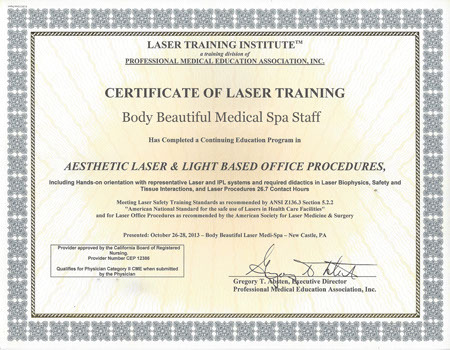 Body Beautifuls goal to provide quality treatment and rapport with patients that we provide for our cosmetic procedures. Patients can consult with our physician(s) about any of their concerns to ensure we are meeting individual’s needs. It is important for our patients to understand their skin conditions and discover the cosmetic procedures that are effective to treat their concern. We will help design a customized treatment plan that provides optimal results. That’s the benefit of finding our Professional Medical Laser Spa. We would be pleased to see you, call 724 987 3221 to arrange a free consultation with one of our physicians or staff. We work hard to earn loyalty and safely get results.